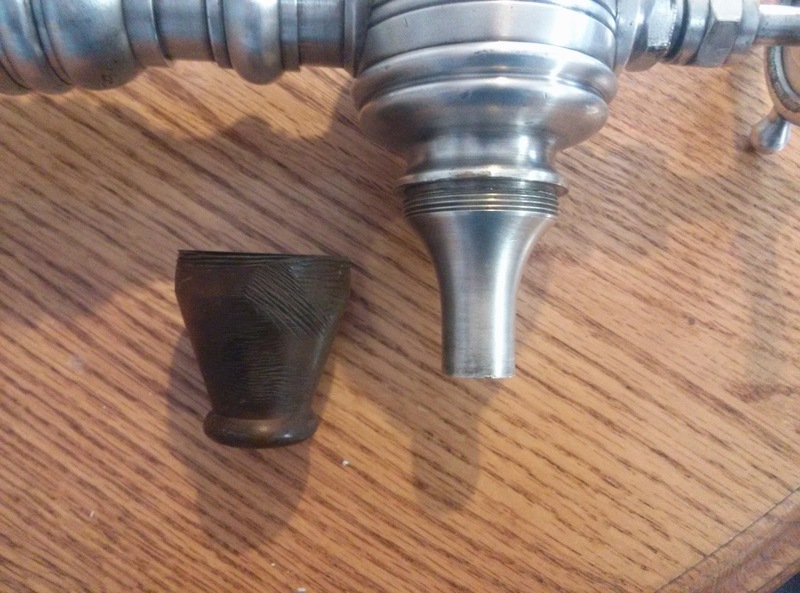 Recently I have been receiving requests for help with the identification of odd old "faucets". Far be it from me to claim that I know and or have seen it all. Frankly I'm not even certain some of these things are meant for use with domestic water. After a few emails and some time spent puzzling over the photos I am sent I come to the point where I would have to say, "Search me buddy". That is where I was yesterday with this item. Then it occurred to me that I have a blog now, and it is getting traffic! 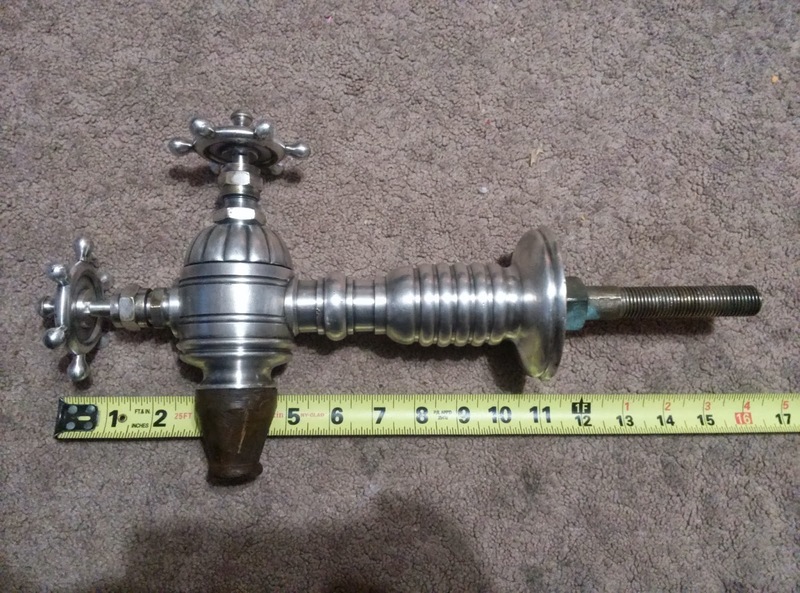 Maybe I could use the blog as a forum, someone out there must know what this thing is. At that point, wanting to be correct in my internet civilities, I asked for permission to post the photos that were sent to me. Permission was granted and so here they are. I will paste the brief conversation that has transpired to this point. 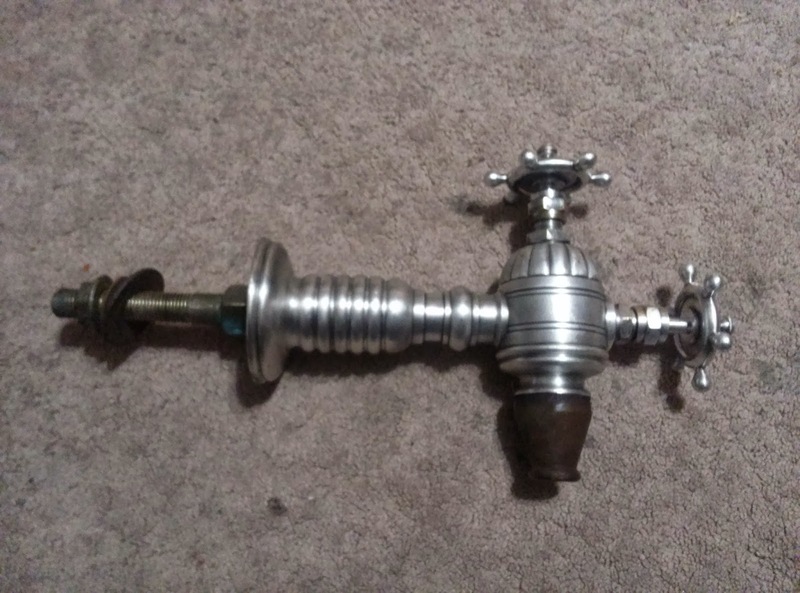 I recently purchased a unique faucet and have spent hours trying to figure out what exactly it is. I was hoping you could help. 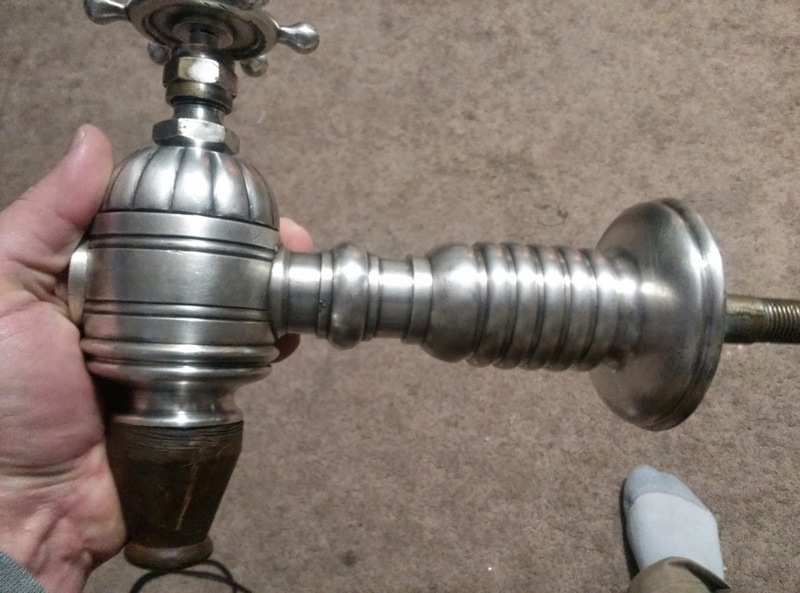 It is large nickel plated (I think) with two valves, but only one supply line. That is really quite large. 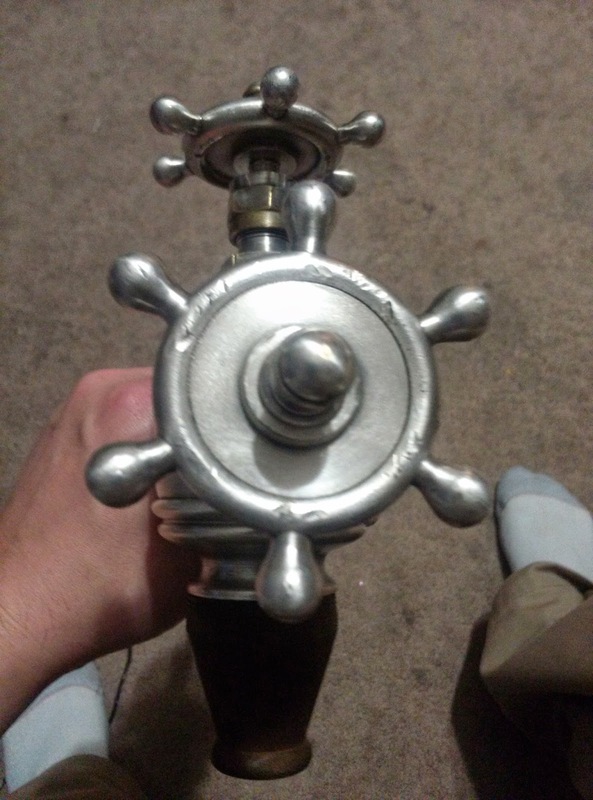 I would guess that the handle that alines with the shank controls flow rate while the handle on top merely is an on/off control. 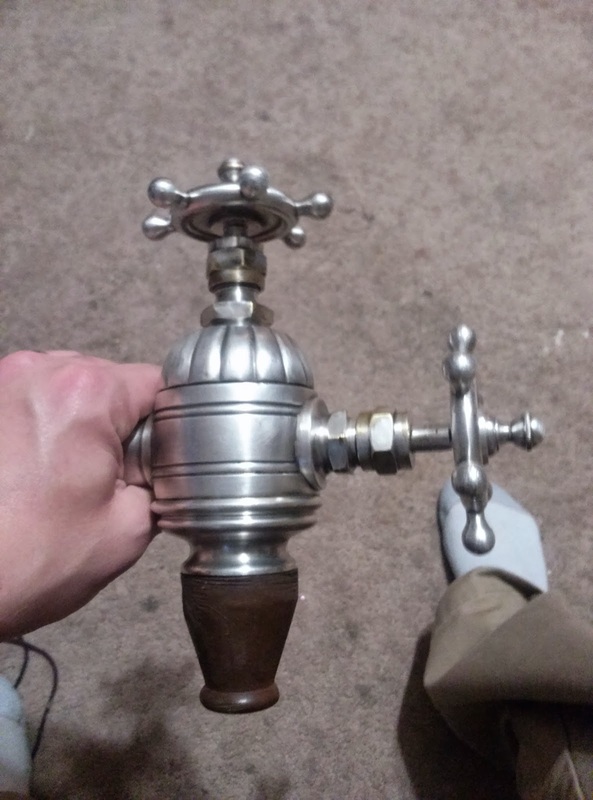 I would not assume that this valve was intended for domestic water, it could be some kind of a beverage tap. The rubber spout suggests a bottle filler. Perhaps I should put your photos on a blog page and invite comments. Thanks for the look at it, Brian. Go ahead and share the pics. The spout is not rubber. It is a plastic like material that threads on to the tap. 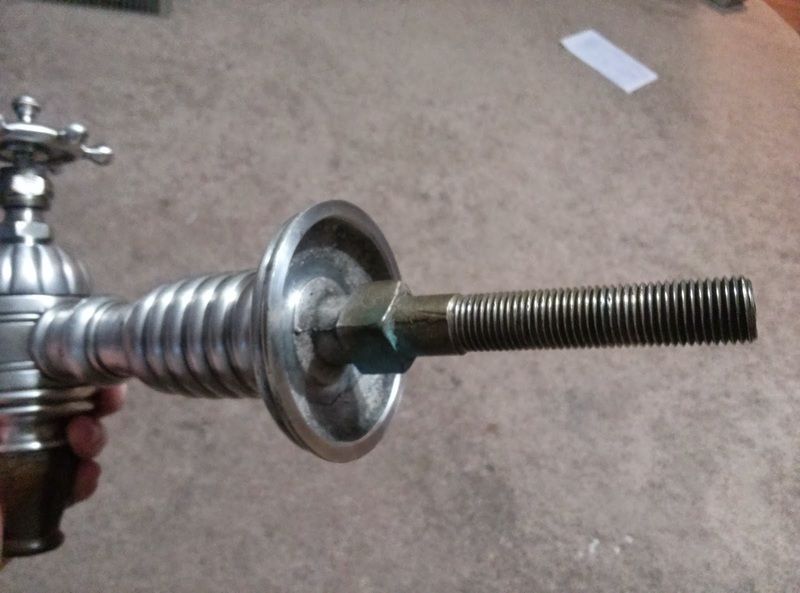 The photo with the measure was not the lead photo, when I got to it and realized how large this tap is it helped me see that the seeming narrow shank is probably at least 3/8ths IPS. This is the only photo with the mounting hardware in place. There it is, anyone out there know what this is? How it works, and what it is used for? Nice Post and Wonderful Shared to Plumbing Service. Thanks author for your awesome post and valuable information.